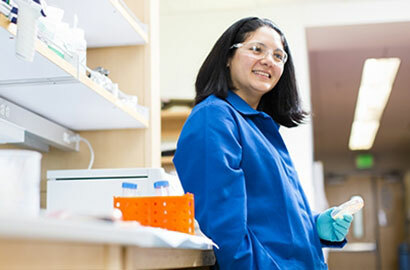 Clarissa Nobile is UC Merced's first Pew biomedical scholar. The Pew Charitable Trusts announced today (June 11) its 2015 class of biomedical scholars, Latin American fellows and Pew-Stewart scholars for cancer research, with eight of the 37 early-career researchers from the University of California. This year marks the 30th anniversary of Pew’s program to fund exceptional early-career researchers in the biomedical sciences — which, along with the Pew-Stewart program and the Pew Latin American fellows program, is designed to encourage informed risk-taking to bring about unexpected, powerful discoveries.